An incredible superfood native to South America, acai has a complex blend of antioxidants including vitamins A and C, as well as minerals and amino acids. It also has omega-3 essential fatty acids which may contribute to the maintenance of mental and visual function. 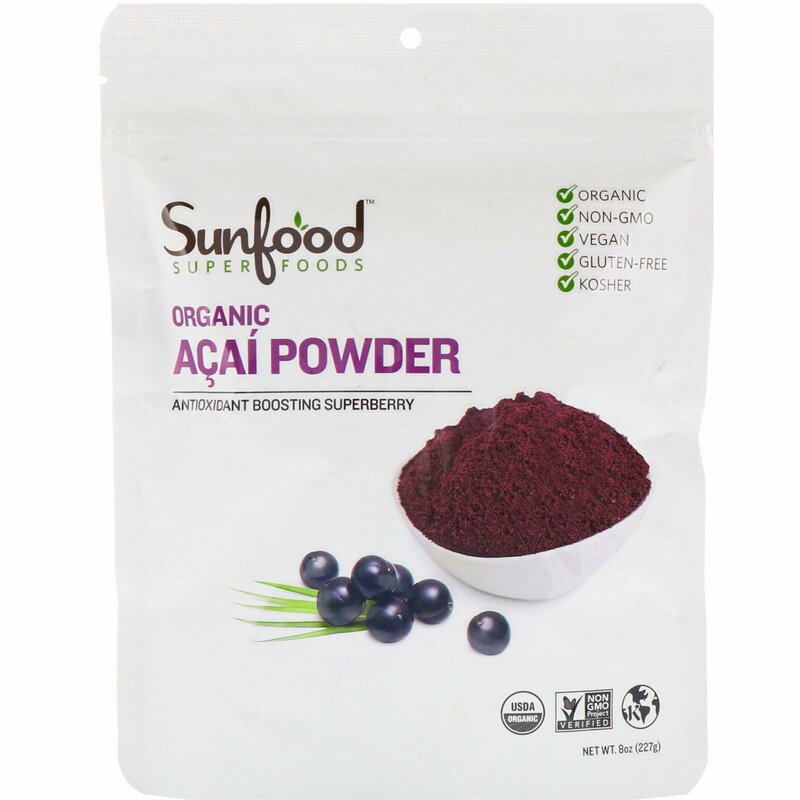 The dark purple color of Sunfood Acai Powder comes from pigments called anthocyanins which may contribute to immune defense. This nutrient dense fruit has become a favorite among athletes and the health conscious. Our organic acai powder is not an extract or concentration, and unlike other brands, contains no fillers or additives. 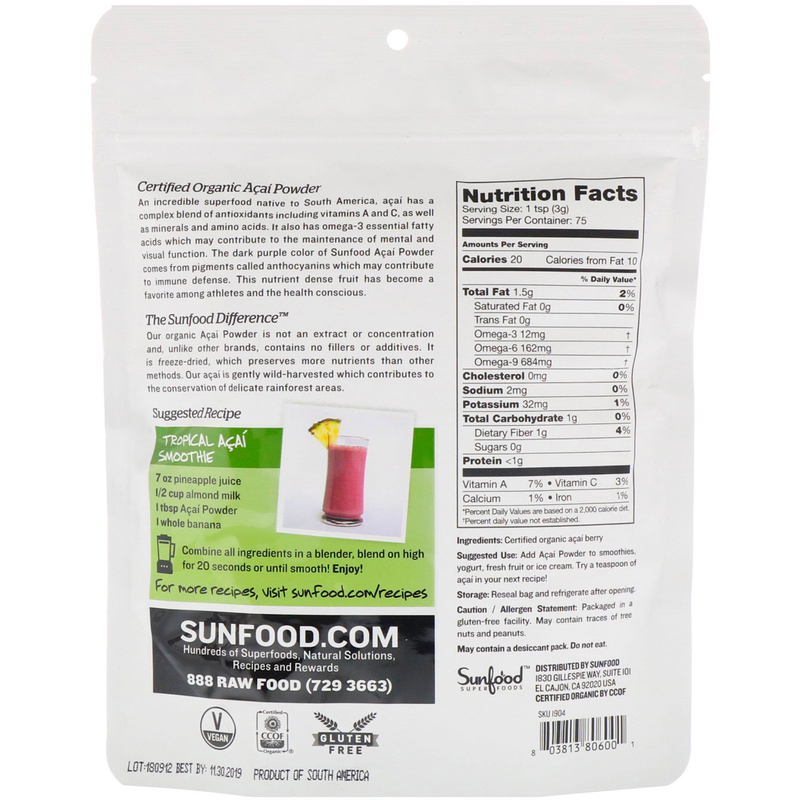 It is freeze-dried, which preserves more nutrients than other methods. Our acai is gently wild-harvested, which contributes to the conservation of delicate rainforest areas. Add acai powder to smoothies, yogurt, fresh fruit or ice cream. Try a teaspoon of acai in your next recipe! Calories from Fat 10 ? *Percent Daily Value are based on a 2,000 calorie diet. ?Percent daily value not established.